Haul: Korean Beauty Products from W2Beauty | Memorable Days : Beauty Blog - Korean Beauty, European, American Product Reviews. It was about time to try out some new Korean skincare products of my favorite brand and to stock up on some items that I love. Which products am I talking about you are wondering... Make sure to continue with reading and I will tell you why I repurchased these products and why I wanted to try out some new products of my favorite brand. 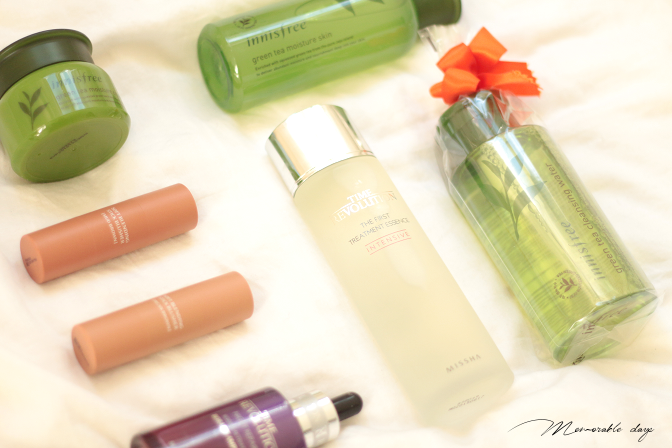 Yes, in this blogpost you will see my haul from w2beauty.com! 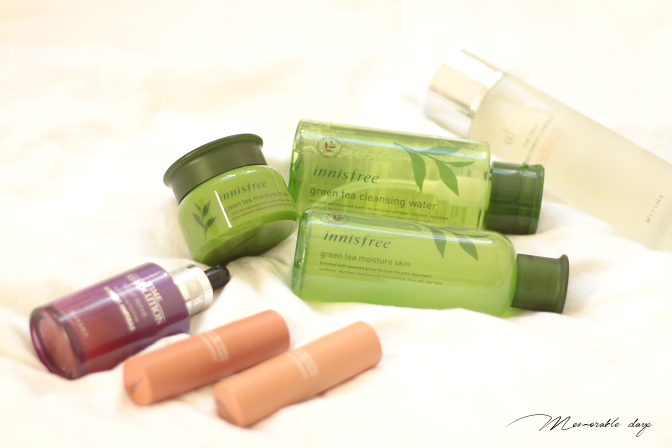 I purchased 3 items of one of my favorite brands, Innisfree and 4 products of Missha. I have been using these two products since the beginning of last year and I got to say I cannot live without it anymore. It improved my elasticity and dryness a lot on my skin after using this, so after I knew these two were almost empty, I just had to restock them. Both formulas has been improved so I hope it is even better than their previous version! 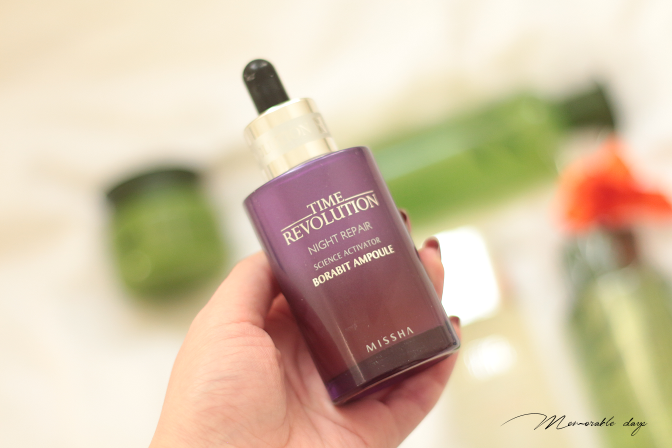 Read my reviews about the Missha time revolution treatment essence and Missha time revolution night repair ampoule. 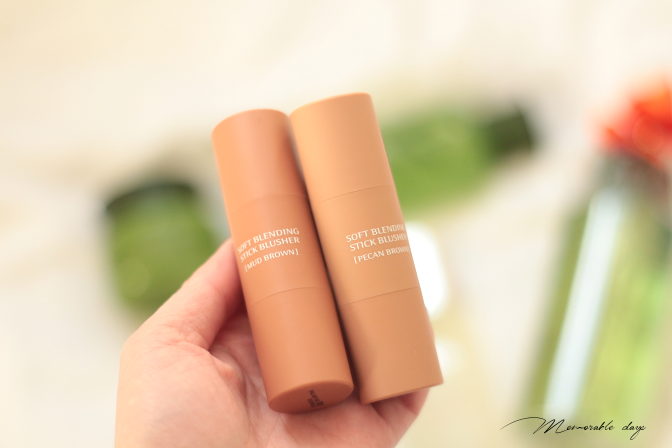 I got curious about the stick blushers of Missha while I was browsing on w2Beauty.com, so I decided to give these two a try. I mainly purchased them to apply it as a bronzer. I wasn't sure which color which suit me the most so I bought the color mud brown and pecan brown. 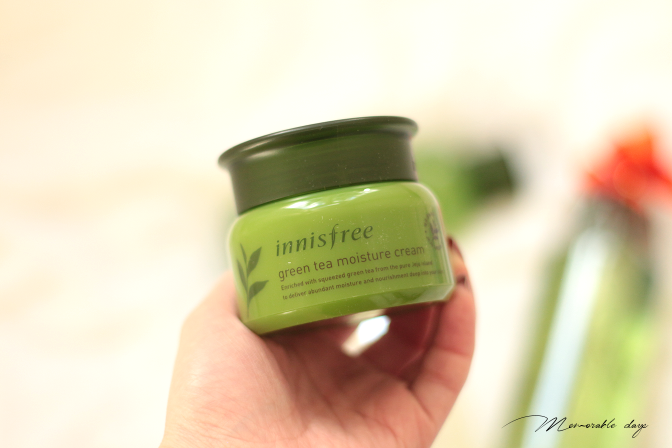 I am a big big fan of the Korean brand Innisfree and I am in love with their green tea line. 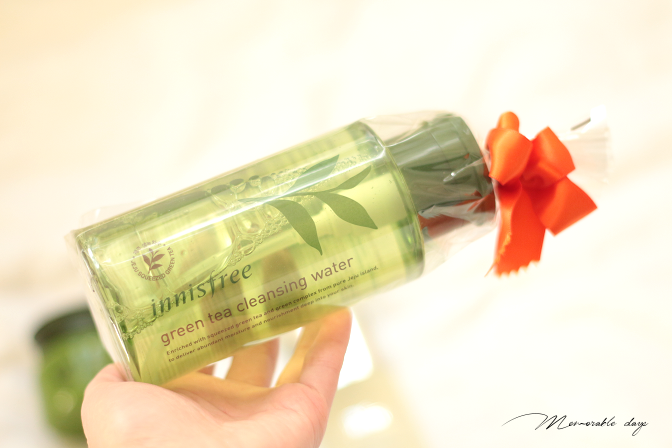 I have tried many products of this line but hadn't tried them all, so I purchased a few products like their green tea cleansing water and two products of their green tea moisture line to try it out. 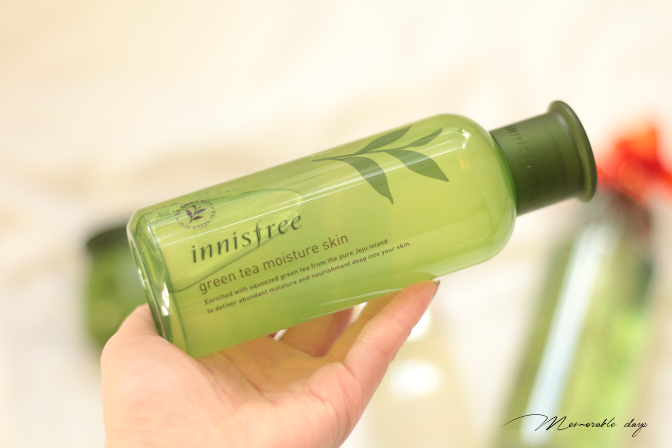 If you are looking for a review of their green tea balancing line or moisture line, HERE you can find a few of mine. I cannot wait to give this a try! I sure will write a review about these. I purchased all these products at w2beauty.com, if you don't know this shop yet, you should definitely give it a visit. It is an online webshop which has a large assortment of Korean beauty products of a lot of brands. I just love that they have everything and they are fast with restocking and releasing new products too, besides that I am loving their great customer service so hence why I keep purchasing from them. Whoaaa, I was so happy when I saw the amount of samples in my box. Alice of W2beauty gave me loads! 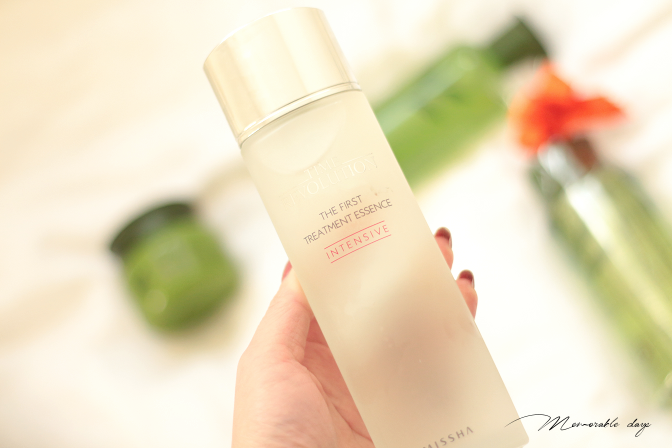 It is a great way to try out new products but it's also great for traveling! 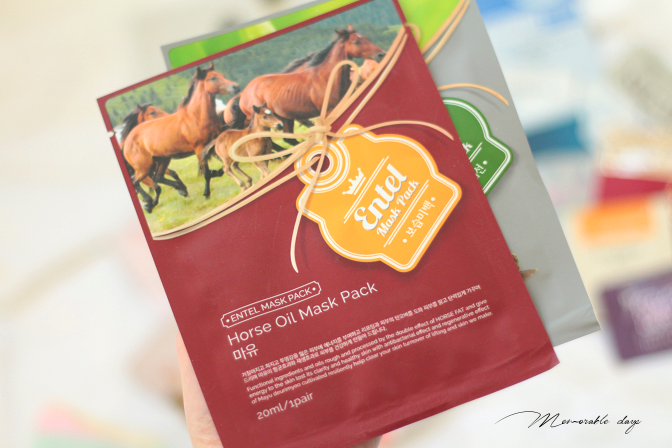 Alice also included a few sheet masks and I didn't know what to think when I saw the horse oil mask o_o"! OMG, first time seeing this, but would you give the horse oil mask a try? Would you dare? note: these products were purchased by myself, this post includes affiliate links, see disclaimer.